You most likely aren’t the first wondering that. As we answer common questions we’ll post them here for everyone to see. In the meantime, if you don’t see your question use the Find Us links at the bottom of the page to contact us. We’ll get you an answer as quick as we can. Do you have any recommendations for places to stay while we visit? Yes!! We’ve partnered with the Gulf Shores & Orange Beach Sports Commission to bring you some exclusive deals for local accommodations. You can find their link on our home page or by clicking here. When will the heat schedules and assignments be posted? We have them posted here. Where can I find results? You can follow our real-time leaderboard. We will be updating results here as the day goes on. I can’t be an athlete, can I still be an athletic supporter? Sure thing, we need plenty of volunteers to make this day a success. You can volunteer here or drop us an email. Where can our team set up a tent for the day? – Right outside the WOD area and beside the vendors. The parking lot will be blocked off for athletes to setup tents. Bring weights as no stakes can be put into the ground (asphalt parking lot). Weather is expected to be great but can be breezy at the beach. What foods are available? Onsite we will have Agape Juice. There is a menu and a discount coupon in every athlete swag bag for Agape Juice. The Hangout will have box lunches for $5. There is also Bill’s By the Beach, Bahama Bob’s and De Soto’s within easy walking distance. What vendors are going to be there? We will have State Farm Insurance, Glow Yoga, Lululemon and Agape Juice with us on Saturday. Can we check in Friday? What time is check in Saturday? 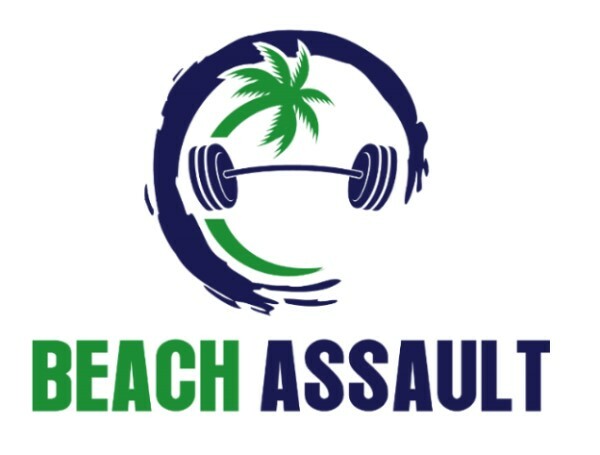 Athlete packet pickup is now going to be at Gulf Shores CrossFit from 3:30-6:30pm Friday, Nov 10th. Address is 7369 Alamo Circle, Gulf Shores, Alabama 36542, click here for map. You can also pick up on Saturday morning from 7:00-8:00am on site (201 West Beach Blvd, Gulf Shores, Alabama 36542, click for map). Athletes should be checked in by 7:30am on Saturday. The athlete briefing starts at 8am on Saturday. When does the first WOD start? The first heats start at 9am sharp. For those coming from the east, remember we’re on Central Time in Alabama. When are we expecting to wrap up? Workouts should end around 3pm. Everyone is encouraged to walk or drive down to The Hangout for the post party and awards ceremony. All 21+ athletes will receive 2 drink tickets to be redeemed at the hangout bar. Awards will be given out to 1st/2nd/3rd place teams in each division. Then it is time to party at The Hangout. Enjoy great music, food and drinks! What parking is available, is it free? There should be plenty of parking available both immediately to the east of the competition site (between the site and The Hangout) as well as across the street. Here’s a link to the City of Gulf Shores parking. Beach parking is $10 a day for non-residents. What’s the schedule for the Friday and Saturday events at The Hangout? Friday’s events have been cancelled and have moved to Gulf Shores CrossFit for packet pickup. Saturday, we will be having our awards ceremony and after party at The Hangout. We are hoping to wrap up the WODs at 3pm and head up for awards and celebration. Is the event kid friendly? Yes, we encourage families to bring everyone along. There will not be much shade or seating so please plan accordingly. Are coolers allowed? Yes within the athlete area. The athlete area will be asphalt parking lot so glass or other breakables need to be careful. Are showers and restrooms available? There is a public bath house immediately to the east of the event. The City of Gulf Shores has this maintained very regularly and has always been clean. There are showers available as well as restroom facilities. Is there a charge for spectators? Will there be seating available to watch the events? Bring everyone you can to cheer your team on! There’s no fee for spectators and we encourage you to bring everyone down to the beach with you. Bring your own seating. What is the bad weather plan? Where do we watch for updates? Why you wanna jinx us like that? Watch the Facebook page for announcements as needed. The weather looks great, check out the forecast here (zip code is 36542).